Magnetic Kitchen is a small design shop in Savannah, Georgia who are committed to producing the highest quality products through small batches, compelling design, and thought. They have a full service laser shop and no idea is too big or too small. Their rates are simple, $10 flat fee for any project plus $1 a minute for machine time. As you can see, they can produce incredible detail on practically any surface. Head over to their WEBSITE today and see if they can help you customize or brand something. 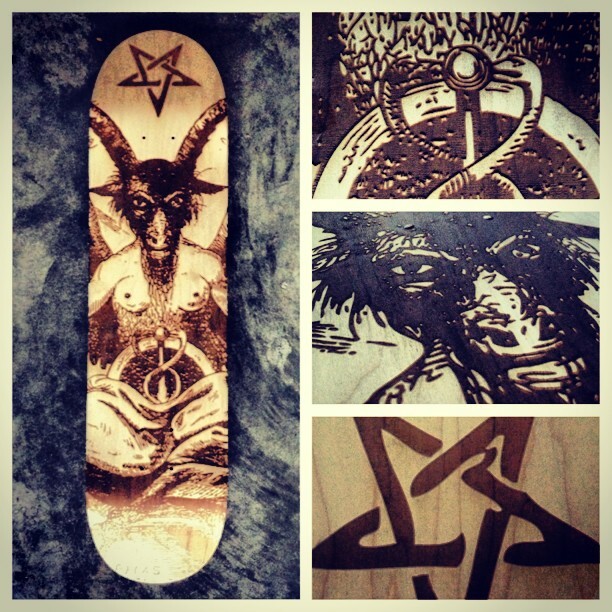 While you are there be sure to head over to their shop and check out their SKATEDECKS, SPEAKERS, and LIFESTYLE goods. Follow Magnetic on TWITTER or INSTAGRAM to stay up to date with new products, projects and collaborations. 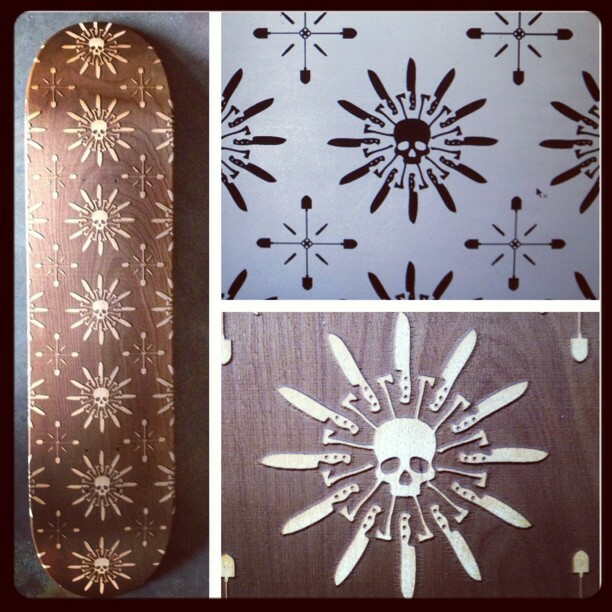 This entry was posted in Accessories, Good Wood..., Skateboarding and tagged custom, laser engraving, Magnetic Kitchen, skate decks. Bookmark the permalink. Reblogged this on Skateboarding is Not a Crime. Thanks for the reblog!!!!! How great are these decks?